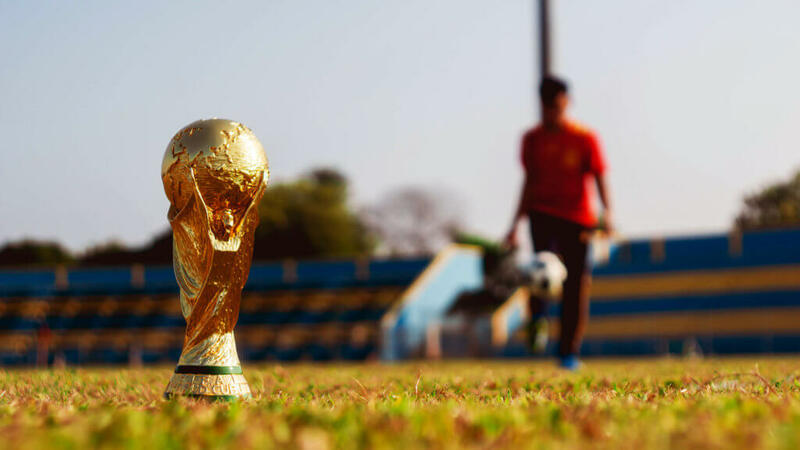 The World Cup is a time of excitement, excessive cheering and potentially a whole lot of frustration…if your favourite team is out that is. We understand that sitting back and enjoying the game is relaxing, but why not improve your football vocabulary in 5 foreign languages while you’re at it? This might come in handy if you happen to be travelling and watching games in another language! We’ve picked out a list of the most important football vocabulary in 5 foreign languages: Spanish, French, German, Portuguese and Italian. You’ll notice Spanish and Portuguese terms are very similar! First and foremost, let’s cover the basics. A football is called ‘le ballon de foot’ in French, ‘der Fußball’ In German, ‘el balón de fútbol’ in Spanish, ‘a bola de futeboll’ in Portuguese and ‘il pallone da calcio’ in Italian. All of these make sense, right? They all translate into ‘the ball of football’. Arguably, the most interesting part about watching the World Cup is watching players score goals! A goal is called ‘o gol’ in Portuguese, ‘el gol’ in Spanish and ‘il gol’ in Italian. Things start to get a bit more complicated in other languages. In French you call a goal ‘le but’ and in German you say, ‘das Tor’. In football, a team is made up of 11 players. In French you call a player ‘le joueur’, in German you say ‘der Spieler’ and in Italian you call them ‘il giocatore’. In Spanish, a player is called ‘el jugador’, while in Portuguese they are called ‘o jogador’. Confusing, isn’t it? Last but not least on our list of basics, we have the referee. We’ve got some good news! Only the German term is very different from the rest. A referee is called ‘l’arbitre’ in French, ‘el abitro’ in Spanish, ‘o árbitro’ in Portuguese and ‘l’albitro’ in Italian. In German, the term is perhaps not what you would expect. A referee is called ‘der Schiedsrichter’. Let’s move on to some more technical terms! A defender is someone who tries to stop the opposite team from scoring a goal. The German term for this is ‘Verteidiger’. All the other terms are very similar to their English equivalent: in French you call a defender ‘le défenseur’, in Spanish it’s ‘el defensor’, in Portuguese you say ‘o defensor’ and in Italian you call a defender ‘il difensore’. An attacker is someone who tries to score a goal. Like the last term, the German translation is very different from the rest. In German you call the attacker ‘der Stürmer’, while you call them ‘l’attaquant’ in French, ‘el atacante’ in Spanish, ‘o atacante’ in Portuguese and ‘l’attaccante’ in Italian. In football, a foul is something a player does that is against the rules – usually injuring another player or making illegal contact with the ball. In French, Spanish and Portuguese, a foul translates into ‘a mistake’. In French you say ‘la faute’, in Spanish you call it ‘la falta’ and in Portuguese you say ‘a falta’. The German word is the same as the English one, you call it ‘der Foul’. In Italian it is referred to as ‘il fallo’. The attacking team is awarded a corner kick after a member of the defending team causes the ball to go beyond the goal line and out of play. It’s called ‘ le coup de coin’ in French but people will also understand if you say ‘le corner’. Now, be prepared for some more intense vocabulary: a corner kick is called ‘der Eckstoß’ in German, ‘el saque de esquina’ in Spanish, ‘o pontapé de canto’ in Portuguese and ‘il calcio d’angolo’ in Italian. A free kick is awarded to a team after a foul is committed by a member of the opposing side. In French it’s called ‘le coup franc’ (‘honest kick’), while in German, Spanish and Portuguese it is also called a ‘free kick’: you call it ‘der Freistoß’ in German, ‘el tiro libre’ in Spanish and ‘o pontapé livre’ in Portuguese. In Italian you call it ‘the football of punishment’: ‘il calcio di punizione’. Now you know some basic football vocabulary in 5 foreign languages! Does this make you want to watch a game in one of these now? Give it a try! Don’t forget to follow us on Twitter @FlashAcademy_HQ to learn some more football vocabulary and some interesting facts! Enjoyed our article about learning football vocabulary in 5 foreign languages? Check out our blog article on 15 Weird French Expressions and What they Mean!